The history of both Austria and Switzerland date back to the medieval period. Here are some videos looking back at how these states developed. First, Danzig HD Mapper created this map, showing Austria from the year 976 to 2018. EmperorTigerstar has this video, which shows the beginnings of the Swiss Confederacy in 1291 to present day. 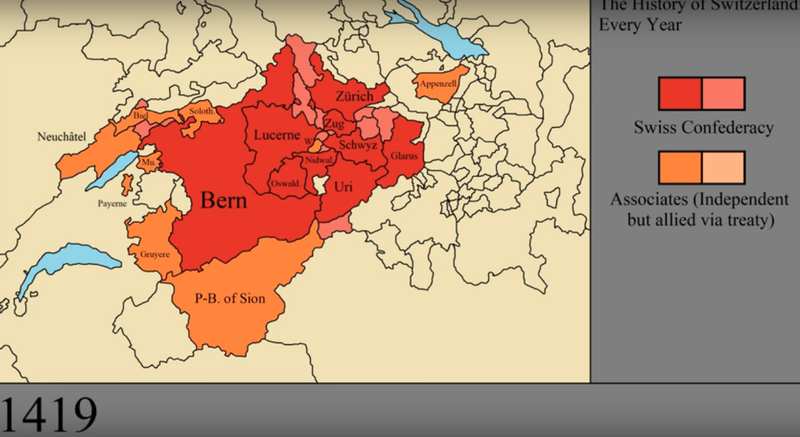 Some extra videos to share with you as well, including The Animated History of Switzerland from Why History?? Geography Now! also tells us all about Austria, including that it has lots of castles.